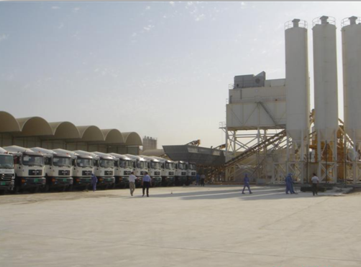 Synaxis Ready Mix is a leading manufacturer and supplier of Readymix concrete products in the Emirate of Abu Dhabi, UAE. 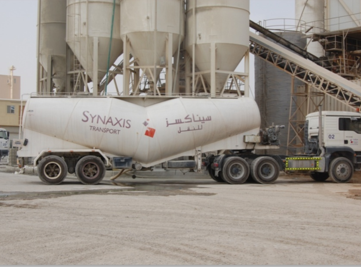 Since the inception of Synaxis Ready Mix, we have dedicated ourselves to upholding the principles of manufacturing and delivering quality Readymix concrete that meets the needs of the construction industry including contractors, owners and designers while balancing our social, economic and environmental responsibilities. We earned our reputation as a leading supplier of high quality Readymix concrete with every yard we’ve delivered. Our technical and management staff each average more than 20 years of experience and are well synthesized to the rigorous demands of local regulatory requirements and environmental constraints. 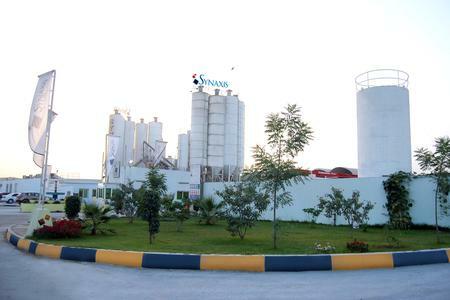 Supported by state-of-art onsite laboratories and our stringent requirements for quality products, Synaxis Ready Mix continuously exceeds quality requirements. We meet I.S.O. 9001:2008 QMS Quality Management System requirements, I.S.O 14001:2004 EMS Environmental Management System, I.S.O. 18001:2007 OHSMS Occupational Health and Safety Management System. 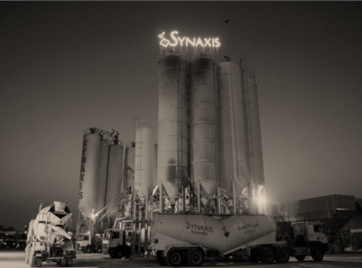 Synaxis Ready Mix developed strong quality policies and procedures to consistently provide products & services that meet and exceed our customer expectations. Our quality management systems have been developed to meet applicable regulatory requirements and to provide customer satisfaction. This is accomplished through the effective application of the quality system, including processes for continual improvement of the system and the assurance of customer conformity. Synaxis Ready Mix offers a broad range of specialty products and mixes to fit our client’s most challenging projects.